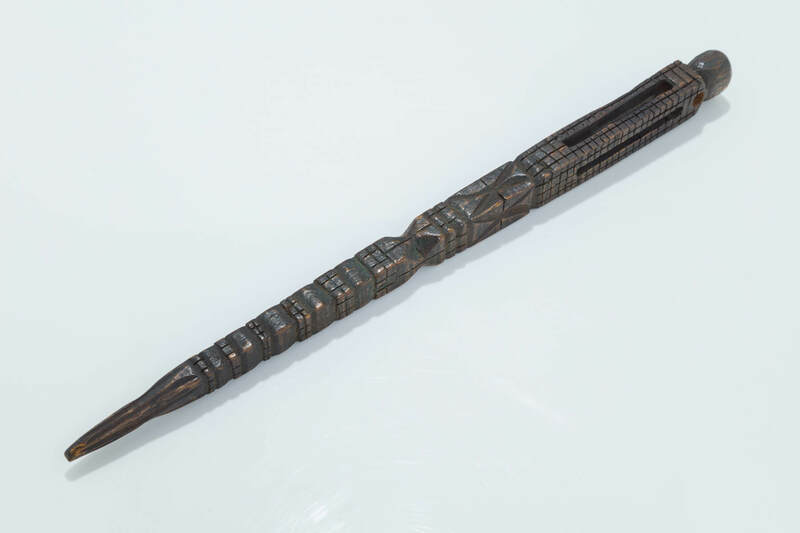 AN EARLY WOODEN POINTER. Galicia, c. 1850. Hand carved with geometrical designs. 11” long.